With just over a week to go until thousands of party members and delegates visit Liverpool to enjoy (or dutifully attend) Labour conference, activists are talking about what will make it to the floor. That is, whether the two big ones – Brexit and mandatory reselection – are debated, and which motions on those topics are voted through. Yesterday saw the deadline for sending contemporary motions to conference pass. As often reported by LabourList, pro-EU groups – from Corbynsceptic Progress to Corbynite, left-wing Another Europe is Possible – have been pushing for a ‘people’s vote’ motion to be debated and passed this year, which would apply pressure on the Labour leadership to soften its Brexit stance. According to The Guardian’s Heather Stewart, over 100 constituency Labour parties (CLPs) submitted motions in favour of another referendum before the deadline. That included Keir Starmer’s own seat, where I’m told there was little dissent despite many strongly pro-Corbyn members (who a year ago would likely have objected) being in the room. In August, I wrote that the anti-Brexit movement within Labour was first led by anti-Corbyn organisations, but then the soft left and eventually the ‘pro-Corbyn, pro-EU’ (#PCPEU) got involved. This shift undoubtedly detoxified the drive for a ‘people’s vote’ on the final Brexit deal and allowed it to spread across the party. Momentum’s national coordinating group opted not to take a position on Brexit before conference. That means delegates won’t be (informally) whipped by them either way on a ‘people’s vote’. But Momentum have nearly reached their target of 10,000 signatures on the open selection petition set up just a few days ago. Last week, the pro-Corbyn campaign group confirmed support for a new parliamentary candidate selection system that would see the trigger ballot replaced by an ‘open’ process. They argue that the current way Labour members choose who to put forward in an election is negative, and should be changed to make campaigning for a potential candidate a positive activity. 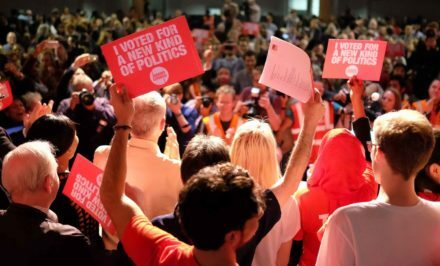 Describing the party rulebook as “outdated”, Momentum national coordinator Laura Parker said “it would be a great betrayal of the members if open selections weren’t properly debated at party conference”. Keep an eye on LabourList next week and throughout conference for coverage of speeches, debates, panel events, delegates’ votes and more, as we unpick the labyrinthine processes and report on the most exciting developments. And if you’re attending conference, watch this space for details of our events. You wouldn’t want to miss our traditional rally on Sunday evening (with lots of drink), nor our legendary karaoke night, for which you can buy tickets online now.